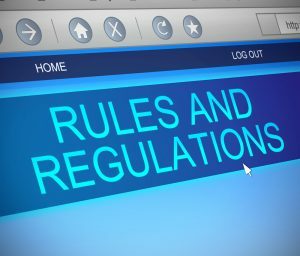 Share the post "Adapting to new regulations to maintain the CFD and Forex market pace"
The rules and regulations in the forex and CFD markets continue to change and develop as the markets grow. These changes not only create volatility in the markets but also affect the list of actions forex and CFD brokers might carry out ­– or not. Because of this constant unpredictability, it is vital for traders and brokers alike to be able to adapt to any unexpected events. As the CFD market continues to grow, authorities like the UK’s Financial Conduct Authority (FCA) and the Cyprus Securities and Exchange Commission (CySEC) have made regulations increasingly stricter, while online platforms like Facebook and Google have tightened their grip on advertisements. This trend can lead to two possible results: the downfall of the market or the rise of strong and innovative platforms and brokers. These shifts in the industry call for a broker of a high caliber who can use any challenge to its advantage and come out on top. An example of this type of broker is 24option, who have proven their abilities to adapt to changes and alter their business with ease when necessary. This requires a realistic attitude toward any given situation and the ability to adjust as the CFD market experiences these shifts. Although several changes have taken place in 2018 so far, one of the most influential is the implementation of a newer Markets in Financial Instruments Directive, released as MiFID II. Along with this reissue came the introduction of the Markets in Financial Instruments Regulation (MiFIR). These new regulations aim to improve broker and trading provider transparency with clients. Another change is the move made by the European Securities and Markets Authority (ESMA) to improve the protection of European retail traders and their finances. Released in March 2018, it has restricted CFDs in an attempt to achieve this goal. Under MiFIR article 40, the ESMA has decided to implement five measures that are especially important to note, whether you have just begun to learn how to trade CFDs or you are experienced in the market. The first of these measures is leverage, which is limited at 30:1 for forex, while the highest for cryptocurrencies is 2:1. In the second measure, the amount to reach a margin call has been made a standard percentage, while negative balance (the third measure) has been individualized for each different account. The fourth measure is incentives, which are also restricted further, and the fifth measure is the obligatory risk warning that reveals to clients the percentage of losses experienced by their traders. Changes like these are particularly influential, and wise brokers should always be prepared for incidents like these to avoid being set back by them. In addition to the above-mentioned changes, another crucial one is the limits placed on broker advertisements, dictating who they may target with their ads and the types of products that can be promoted. As a broker, knowing the regulations as well as clients is essential to survive drastic regulation changes such as these. The trading industry is eternally volatile, and it is essential to note that anything could happen at any time. For traders, your broker shows their abilities in how they adjust to these changes and continue to serve their clients’ best interests. This will allow you to approach any change with ease and never be deterred by a new regulation or limit on your trades.